The failure of 2013's SimCity to set the world on fire has left a city-shaped hole in the gaming landscape. 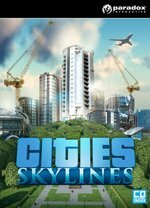 Fortunately, Cities: Skylines, the product of a small Finnish developer called Colossal Order, is here to pick up the slack, with the team building on the experience it gained with the transit-focused Cities in Motion games. Following in the tradition of the great city-building games that have come before it, Cities: Skylines gives players a sandbox in which to plan and build their own metropolis. 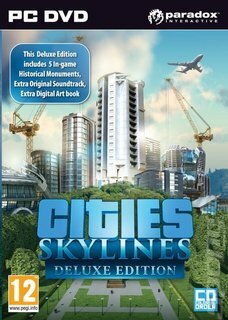 It allows them to build much bigger cities than the last SimCity, and drill down as far as they want to focus on details such as zoning, water, budget, energy and police. You can stay at the birds-eye level, or get stuck into every block if you prefer. While the focus of the game is macro-level planning and infrastructure, the people who make a city live and breathe aren't forgotten. Players can follow a citizen from when they move to the city or are born, right through all their life stages until they die. A huge part of the game is the opportunity for players to create content of their own and share it. There's plenty of evidence that this is a hit, with new buildings and maps appearing everyday (even including a recreation of Grand Theft Auto's Los Santos), meaning that players can expect an ever-growing stream of fresh goodies to play with.